We prefer customers to check in within the office hours although a late check-in is possible. There is always a member of staff available out of hours, so if you inform us of your expected time of arrival when booking, a late check-in can be arranged. Check in is 1 pm for Bed & Breakfast bookings and 4 pm for Self Catering bookings. Check out is 10 am. The contact number to call out of office hours is 07754 610 976 (for emergencies only). If you need to amend or cancel your booking, please contact us by phone or email reception. 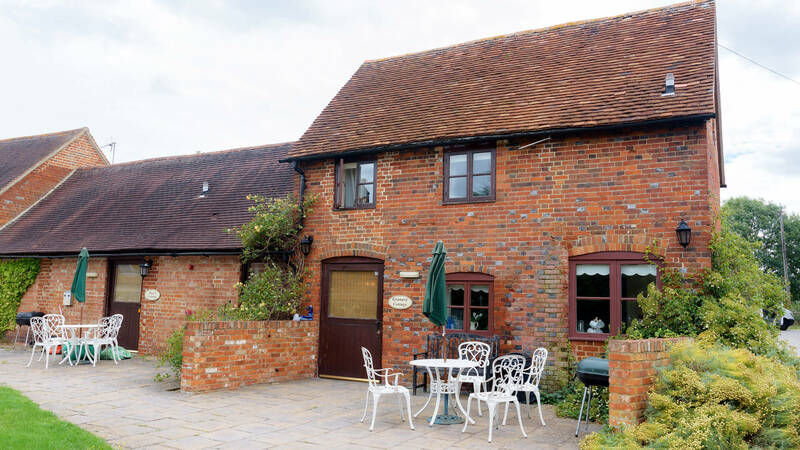 Experience the beauty and charm of Kingfisher Barn, and explore the delightful town of Abingdon-on-Thames. From Oxford or Newbury, proceed along the A34 to the A415 Abingdon exit. From A34 head for the Town Centre across three roundabouts. After the third roundabout, you will find yourself on Ock Street (A415). Proceed to traffic lights. Turn left onto Stratton Way and continue up to the traffic lights. Turn right into Stert Street, pass two pedestrian crossings and the church clock tower on the left. Continue straight, pass the Nags Head pub on the left when crossing the bridge over the River Thames. Just over the bridge, turn left into the public car park and follow the lane in front of you. This will lead to Kingfisher Barn and main car park where the reception is located.